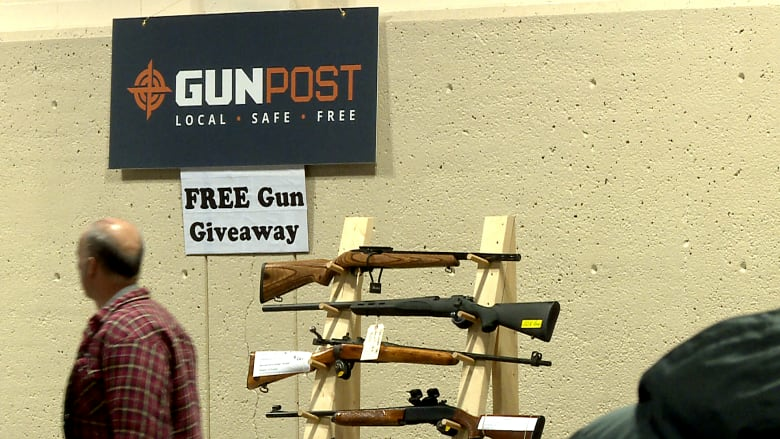 Alberta gun enthusiasts are not happy with proposed legislation that would impact how they buy and sell firearms. 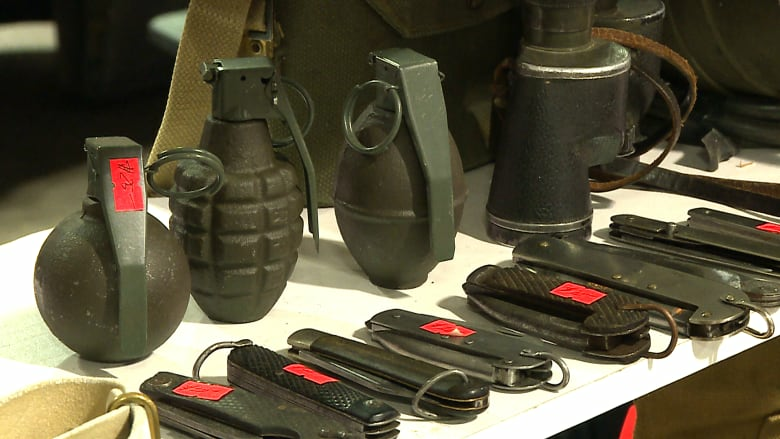 Nearly 1,000 vendors and hundreds of visitors attended the Calgary Gun Show — the largest of its kind in Canada — on Saturday. The biggest topic of conversation at the show wasn't the push for gun control making headlines in the U.S., but a Canadian bill that would require all firearm vendors to maintain 20-year records of all inventories and sales. "We definitely have too much gun control," said Sheldon Clare, the president of Canada's National Firearms Association, a group that advocates for gun rights in the country. "A licence does not prevent a person from making a subsequent bad choice." Clare spoke out against Bill C-71, which was tabled on March 20. The bill also includes changes to the background check system, requiring RCMP to examine more of a person's history — not just the last five years, as is currently required. Retailers were previously required to keep records documenting the sale of firearms, until changes introduced by the previous Conservative federal government in 2012. Clare said the bill will stifle sales at gun shows significantly by requiring vendors to confirm gun licences are valid before every transfer of ownership. However earlier in March, Public Safety Minister Ralph Goodale said private individual sellers will not be required to keep such records. "It's not an onerous burden and it's one the vast majority of retailers already do because it's good business," Goodale told reporters at the time. The firearm advocates at Calgary's event were unsupportive of calls for increased gun control in the United States. "The Americans have tremendous gun control at all sorts of levels," according to Clare. Just last week, marches were held across Canadian cities in support of gun control after a mass shooting took place at a Florida high school. Clare also said the conversation south of the border shouldn't influence how Canadians feel about gun control. "It is completely unfair to compare our federal systems of firearms control with the systems the Americans have," he said. "When events do occur that draw the public's attention they tend to be sensationalized, and tend to seem more personal than they actually are." 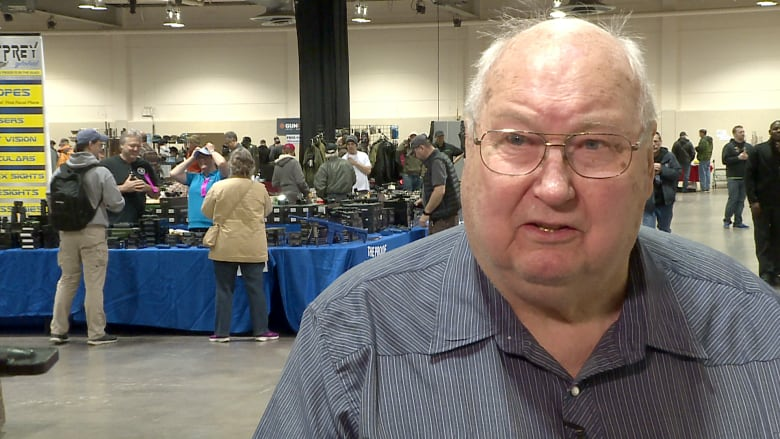 The Alberta Arms and Cartridge Collectors' Association has hosted the Calgary Gun Show every Easter weekend for decades. The gun show includes exhibits of antique military bayonets, hunting rifle manufacturers, educational displays and gun clubs. Organizers of the show are worried the proposals put forward by the federal government could impede their event. "We're a little afraid of some ridiculous rules coming out. 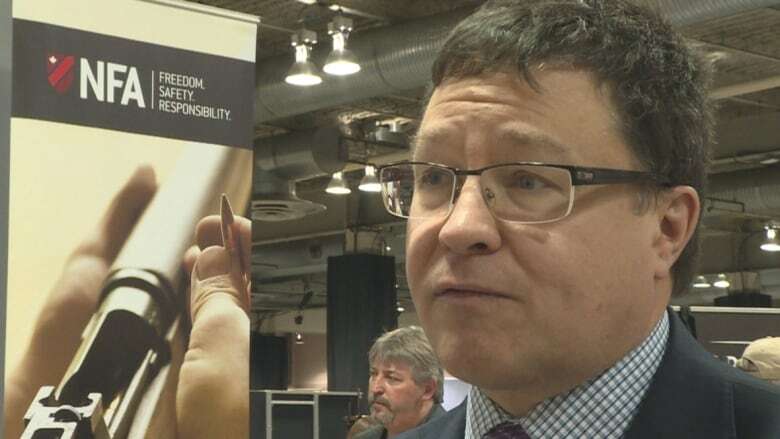 The politician has to satisfy the public and he has to create some regulations, some laws that don't do anything against our criminal element in the street," said Hank Holm, president of the Alberta Arms and Cartridge Collectors' Association. "But it bothers our legitimate hunters, collectors and gun owners in this country," according to Holm. Holm said he doesn't think gun violence is "a great concern" in Canada. In 2016, there were 223 firearm-related homicides in Canada, up 23 per cent from the previous year, according to Statistics Canada.